There are many things to think about as you get ready to host parties and family gatherings in your home and prepare for the holidays. A water filtration system may not be at the top of your list right now, but it’s something you'll want to consider. Advanced Water Solutions will go over some of the perks you and your home can get from a whole-house water filter during the busy holiday times. What an extra treat and a great welcome to guests staying in your home to take a shower with clean, filtered water. There will be no more odors or hardness to the water coming out of your pipes, just clean soft water. Learn more about how soft water benefits your showers here. Having slight odor or hardness to your water could be off-putting to guests. So if you have one or both of these issues, now may be a good time to think about putting that water filtration system in before you have guests in your home who will be using your water to clean up. Going for a whole-house water filtration system ensures that you will not only have clean water coming from your showers, but also from the taps your family uses for drinking water. Having a filter makes everything taste better simply by having pure, clean water. This water your guests will use includes the water for their coffee and tea. 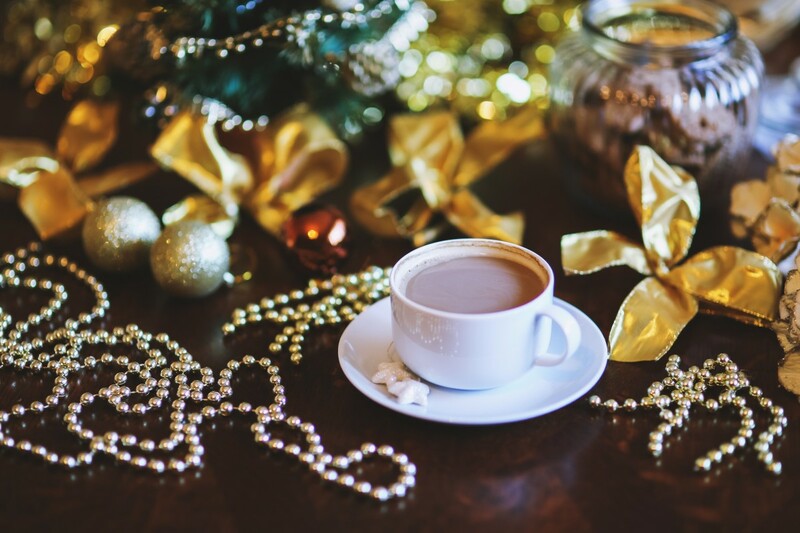 From morning visits leading up to the holidays to the day itself, your guests will enjoy better tasting beverages. By having a water filtration system installed, there is no need to go out and buy that fancy coffee maker, because your regular coffee pot will make that great tasting cup already! Whether it’s the morning cup of coffee you sip as you watch your kids open their gifts or that nice cup of chamomile tea you sip in the evening after it has all quieted down, you will not be disappointed in the taste you get by using filtered water in your drinks. As you prepare for those holiday get togethers, you may be tempted grab some cases of bottled water so that guests have the option of clean water to drink while at your house. Have you added up the money and the time you spend just stocking up on, chilling, and purchasing all of that water? Then what do you do with those bottles? The will either fill up an entire trash bag or your entire recycle bin. Also consider how much time and money you spend cleaning up after hard water residue on your counters, dishes, and elsewhere. If you go ahead and invest in that water filtration system now, before all the holiday festivities begin, you will free up much of your time and reduce future expenses. On top of that, you will have an endless supply of great tasting filtered water no matter what the occasion. This will be one less thing for you to worry about as the season approaches. Still not convinced? Check out this blog that contains even more information on the financial benefits of home water filtration! What is a better gift to give yourself and your family than health? By having a water filtration system installed in your home, you would be doing just that. Filtered water is great not only in taste but also in the benefits it offers your health. Any friend or family member who visits your home this holiday season would also be getting those benefits by simply enjoying that glass of water you offer them. A water filtration system in your home would be the gift that keeps on giving long after the holiday season has come to a close. There is no need to wait until the New Year to give your home a new water filtration system. Prepare for the holidays now. This is an update that can be done quickly and enjoyed by many during the holidays. The perks and benefits of having filtered water in your home far outweigh the initial price. Having a water filtration system is cost effective, convenient, and easier for you and your loved ones in the long run.